Bullies, peer pressure, negative images and the other perils of middle and high school bombard your pre-teen or teen’s daily life. If it’s time for your young man or woman to experience what it’s like to have a positive outlook in life, then it’s time to get started at THE EDGE. Our instructors know how to be positive mentors to teenagers and help shape them into self-controlled, respectful individuals ready to conquer any challenge that life throws at them. As more and more teens drift away from the old principles of integrity, good judgement, and a hard work ethic, our students exemplify those characteristics. The fast paced workout will not only interest your teen, but also helps develop core body strength for other athletic endeavors. 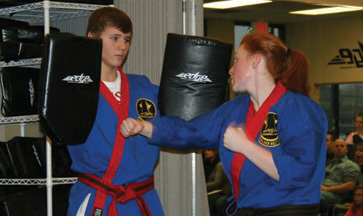 Many students use Martial Arts to help cross-train for soccer, football, baseball, gymnastics, basketball, and dance. 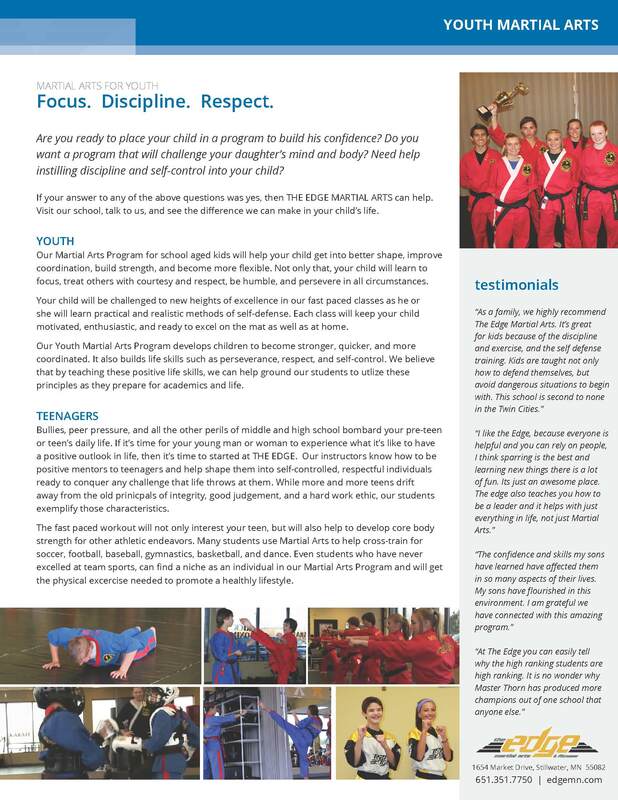 Even students who have never excelled at team sports, can find a niche as an individual in our Martial Arts Program and will get the physical exercise needed to promote a healthy lifestyle.